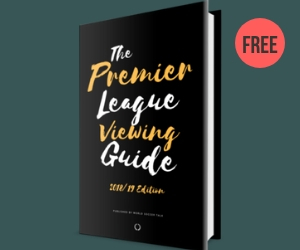 Browse the Premier League TV schedule below for games shown on US television and the Internet, on channels such as NBC Sports, NBC Sports App, fuboTV and Sling Blue as well as League Cup, FA Cup and friendly games on various channels including fuboTV, ESPN, ESPN2, ESPN3.com, B/R Live, FOX Sports 1, FOX Sports 2, FOX Soccer Plus, FOX Sports GO and FOX Soccer Match Pass. Also included are listings for Premier League teams playing in the Champions League and Europa League, summer friendlies, domestic competitions such as the FA Cup and League Cup, and games featuring the England national team. Bookmark this Premier League TV schedule page and return to it often. You’ll find the latest schedule of TV games, in many cases posted before the information is officially released. Looking to watch Premier League online from your office, home or on the go? If you live in the USA, there are several options to catch all the action. Many Premier League stars will be competing in the Copa America and Gold Cup tournaments. 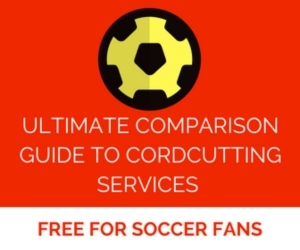 There’s no consistency in the presentation of soccer games. They range from NBCSN to ESPN + to ‘ Sports Gold’ and PlayStation. I suggest you put the FA Cup Games on FoxSN and the Premier League on NBCSN. As to the Euro and Championship games, find a regular channel for them. I do not see why I have to pay to see games on my computer (small screen) when I outlay almost $200 a month for Comcast, Xfinity and Time Warner. Signed ‘old disgruntled City fan’ Rex Hearn. Great comment. I pay a tons of money for the cable ($270/month) and I want to watch every soccer game in the TV. Whoever does not pay for cable lets pay for ESPN+ or NFL Gold, but do not force me to watch the games in my Apple watch, since I pay enough money to enjoy watching them in the TV. I am an Arsenal fan and I see all its game are now shown in the NBC gold. Wow another crazy comment on here, so these different leagues and associations in different countries should all get together with the U.S. TV and streaming networks, forget out about who is paying more for rights and the networks should forget about their other programming and revenue and they should put it all on one channel and all lose money TO GROW THE GAME!!!!!!!!!!!!! and make WST commentors happy. Also it’s 2019, you do know there are tons of ways to see streaming on a TV right??? You should get with the times. I totally agree with Rex . FIX IT !!!! I’m sure they will get right on that for you!!!!!!!!!!!! Are all Premier League teams playing on May 4th and May 12th? The 12th is Decision Day so that is a definite. But does the 2nd to last week also have all the teams playing in one day? Kind of like a Decision Day preview? Except all games are not on TV networks. Decision Day they are. My cable shows Leicester v Burnley on Sat. 3/16 on NBCSN. Guess they are shuffling things with the FA Cup games? Hi Tom, NBCSN has moved things around so the Leicester-Burnley game will be on NBCSN. Is there a reason why the first home game at the new Tottenham Hotspur Stadium isn’t being shown by NBCSN? Why show a game that is a nailed on home win (Man City) instead? I agree with you 100% I’m sure there is going to be a beautiful opening ceremony at the new stadium. It’s also a London Derby. This is NBC Sports we’re talking about, remember. What in the world do they know about the EPL or professional football in general? Sky Sports News has been on NBCSN for a month now. I wonder if NBCSN learned anything from them? Probably has more to do with it turning towards the end of the season and Manchester City and Liverpool are in a title race. I’d expect those two to be on TV whenever possible from here on out unless one of them builds a very sizable lead (doubtful). It seems that they listened! Well done NBCSN!